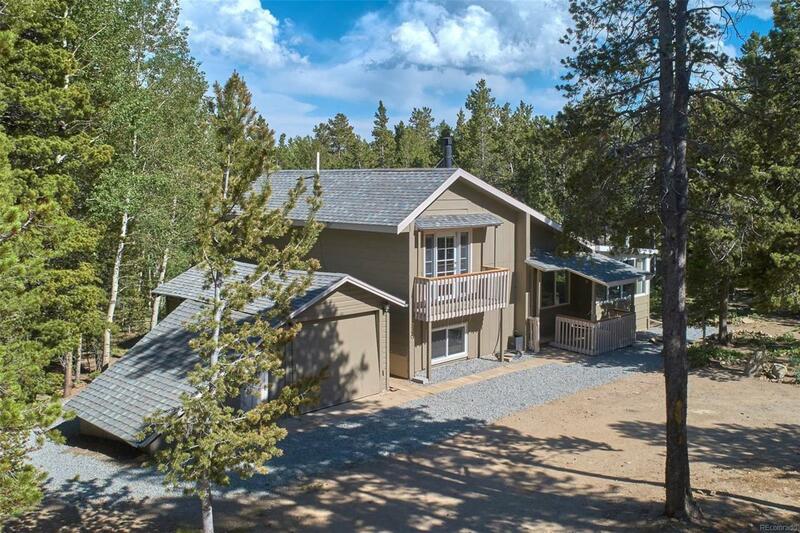 Contemporary Mountain home privately set on 1.22 flat usable acres near Snowline Lake. Sunny, bright and nicely updated with new vinyl plank flooring & paint. Carpet, exterior doors & many windows less than 3 YO. Surround yourself with nature in the living/sun room that completely opens up to the outside. Detached garage was converted into a workshop with 110v & 240v power. Enjoy the multi-use trails in the National Forest or take a quick walk to the members-only stocked lake. Just 12 min to Nederland or Eldora.